Brii Biosciences launched earlier this year with $260 million and a mission to find new medicines in infectious disease and other therapeutic areas and bring them to China. Today, the startup is announcing new partnerships that jump-start its pipeline, with an eye on potentially curing hepatitis B.
Brii, co-founded by GlaxoSmithKline (NYSE: GSK) infectious disease veteran Zhi Hong, has signed a collaboration with VBI Vaccines (NASDAQ: VBIV) of Cambridge, MA to develop VBI-2601, an injectable drug that contains key hepatitis B proteins and other immune modulators to boost immune responses against the virus. Brii will pay VBI $11 million up front in total—$4 million in cash and a $7 million equity investment. VBI could receive up to $117.5 million in additional milestone payments, and royalties on sales in China, Hong Kong, Macau, and Taiwan if the drug reaches the market. The two companies will co-develop the drug through early-mid stage clinical trials in China. After that, Brii will fund all development in these regions in Asia and have commercial rights there. Brii said in its announcement today that it plans to start clinical proof-of-concept trials of VBI-2601 in China by 2019. Hepatitis B is a huge problem in China—of the more than 250 million people worldwide infected with the virus, about one-third of them live in China, according to the World Health Organization. While a vaccine has dramatically reduced hepatitis B rates in children, the virus still infects adults for life, putting them at risk for cirrhosis, liver failure, and cancer. Current treatments suppress the virus but don’t cure the disease in most patients. In pursuit of higher cure rates, Brii has also announced more details from its existing partnership with Vir Biotechnology. San Francisco-based Vir recently launched a Phase 1/2 trial of VIR-2218, a RNA interference-based drug for hepatitis B, in partnership with Alnylam Pharmaceuticals (NASDAQ: ALNY). Brii has marketing rights in China for this drug and up to three other Vir products, and it aims to test VIR-2218 in patients in China by next year. The RNAi drug from Vir/Alnylam is designed to block the production of all hepatitis B proteins, including a key antigen, with the hope of restoring the patient’s immune response to the virus. Hong says he envisions the Vir and VBI drugs working in tandem. “My thinking around this is that the Vir product kicks off the immune response and 2601 [from VBI] will sustain and prolong the response.” Hong adds that the drugs could be used in combination, but they will be tested separately first before the company plans any combination trials. 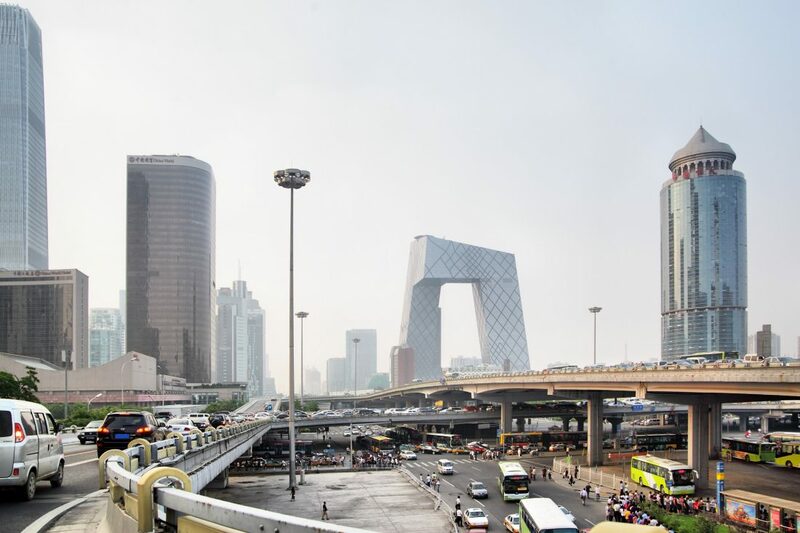 These deals get Brii to the clinic relatively soon, but the company is also launching its R&D hub in Beijing (pictured), with 200 employees, to focus on earlier-stage discovery, thanks to a new partnership with the Beijing government and Tsinghua University in Beijing. Brii will work with Tsinghua researchers and also with WuXi Biologics to find new immune system targets for infectious disease. Hong says he hopes to bring the success and progress in cancer immunotherapies to infectious disease by developing new antibodies that boost immune responses against pathogens. “We hope to change the paradigm for treating infectious disease,” Hong says. Brii will keep its small offices in Shanghai, Durham, NC, and San Francisco, but the Beijing location will be the company’s largest presence and only research center, Hong says. He adds that the funding he has should get his company through two to three years of clinical testing with the current pipeline. Click here for more on Brii’s launch and approach.